Words St. 1-2, 4: The Words are in the Public Domain; you do not need permission to project or reprint the Words. Words St. 3: Permitted with a license from OneLicense.net. If you do not own this license, please contact the copyright holder for permission. In introducing this lovely meditative hymn to your congregation, the organist may well begin with one or two of many organ settings. 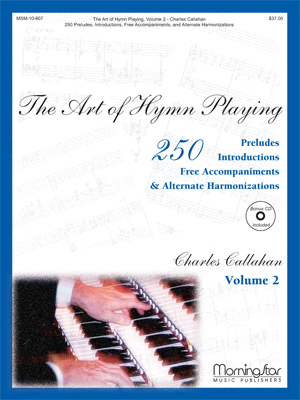 The just-published Bibliography of Organ Music Based on Tunes in the Psalter Hymnal and Rejoice in the Lord lists more than a dozen (see p. 47). The setting straight out of the Psalter Hymnal is lovely with unison children's voices or in harmony with an adult choir. A choir may also wish to try one of the settings by Hugo Distler (Arista, AE 109). When the congregation sings this hymn, the organ should play just loud enough to lend support; a soft, gentle accompaniment fits the character of the song. This German carol is too often sung slowly, with the pulse at the quarter note. Let the song’s inner-rhythms emerge by feeling the pulse at the half note. That will allow the subtle syncopations of “from tender stem hath sprung” play against the half note meter. 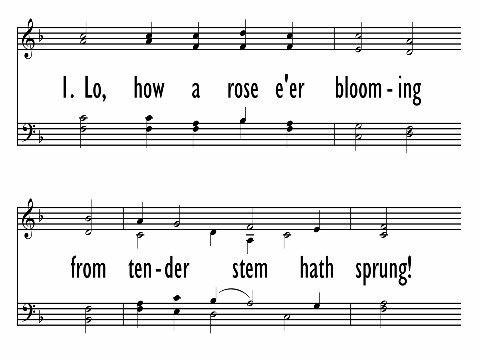 At the end of the first phrase, lift off of the word “sprung” without a fermata and begin the next phrase in time, otherwise the song will get slower and slower with each verse. Originally "Es ist ein Ros entsprungen," the carol may date back to the fifteenth century. However, the earliest manuscript containing the text, found in St. Alban's Carthusian monastery in Trier and preserved in the Trier munici­pal library, is dated around 1580. It was first published with twenty-three stanzas in Alte catholische geistliche Kirchengesänge (Cologne, 1599). Originally stanza 2 interpreted the "rose" as being Mary, mother of Jesus. But in Musae Sionae (1609) Michael Praetorius changed the interpretation to point to Christ as the rose in accord with actual biblical imagery. In that hymnbook, Praetorius published only stanzas 1 and 2. First published with the text in the Cologne Gesangbuch of 1599 (see above), the tune ES IST EIN ROS is a rounded bar form tune (AABA). The tune has characteristics of a Renaissance madrigal; it invites performance by an unaccompanied choir so that all the fine part writing and subtle rhythms can be clearly heard. ES IST EIN ROS is also a fine congrega­tional tune or a children's choir anthem. Sing in unison with delicate accompaniment. Be sure to articulate carefully on the organ or piano those repeated melody tones. The English translation of stanzas 1 and 2 are by Theodore Baker (b. New York, NY, 1851; d. Dresden, Germany, 1934) and are possibly from anthem setting published by G. Schirmer, Inc., in 1894 when Baker was music editor there. Baker is well known as the compiler of Baker's Biographical Dictionary of Musicians (first ed. 1900), the first major music reference work that included American composers. Baker studied music in Leipzig, Germany, and wrote a dissertation on the music of the Seneca people of New York State–one of the first studies of the music of American Indians. From 1892 until his retirement in 1926, Baker was a literary editor and transla­tor for G. Schirmer, Inc., in New York City. In 1926, he returned to Germany. Stanza 3 is a translation by Gracia Grindal (b. Powers Lake, ND, 1943), originally published in the Lutheran Book of Worship (1978). Grindal was educated at Augsburg College, Minneapolis, Minnesota; the University of Arkansas; and Luther-Northwestern Seminary, St. Paul, Minnesota, where she has served since 1984 as a professor of pastoral theology and communications. From 1968 to 1984 she was a professor of English and poet-in-residence at Luther College, Decorah, Iowa. Included in her publications are Sketches Against the Dark (1981), Scandinavian Folksongs (1983), Lessons in Hymnwriting (1986, 1991), We Are One in Christ: Hymns, Paraphrases, and Translations (1996), Good News of Great Joy: Advent Devotions for the Home (1994 with Karen E. Hong), Lisa sandell, the Story of Her Hymns (2001 with John Jansen), and A Revelry of Harvest: New and Selected Poems (2002). She was instrumental in producing the Lutheran Book of Worship (1978) and The United Methodist Hymnal (1989). Stanza 4 is written by John C. Mattes (1876-1948). The revised text and new harmonization in 1609 by Michael Praetorius (b. Kreutzburg, Thuringia, Germany, 1571; d. Wolfenbiittel, near Brunswick, Germany, 1621) turned "Lo, How a Rose" into a beautiful and popular hymn. Born into a staunchly Lutheran family, Praetorius was educated at the University of Frankfort-an-der-Oder. In 1595 he began a long association with Duke Heinrich Julius of Brunswick, when he was appoint­ed court organist and later music director and secretary. The Duke resided in Wolfenbüttel, and Praetorius spent much of his time at the court there, eventually establishing his own residence in Wolfenbüttel as well. When the Duke died, Praetorius officially retained his position, but he spent long periods of time engaged in various musical appointments in Dresden, Magdeburg, and Halle. Praetorius produced a prodigious amount of music and music theory. His church music consists of over one thousand titles, including the sixteen-volume Musae Sionae (1605-1612), which contains Lutheran hymns in settings ranging from two voices to multiple choirs. His Syntagma Musicum (1614-1619) is a veritable encyclopedia of music and includes valuable information about the musical instruments of his time. This Advent and Christmas hymn expresses and acknowledges a particular tension we ought to be aware of during the Christmas season. Just as, in the prophecies from Isaiah, a “rose,” or stem, shoots up from the stump, so too we celebrate Christ’s birth in the knowledge that he brings life out of death. Our celebrations of Christmas must always point us to Easter. We celebrate Christ’s life because his death brings us new life. So too, the season of Advent points us not only to Christmas, but to the second coming of Christ, when He will finally make all things new. 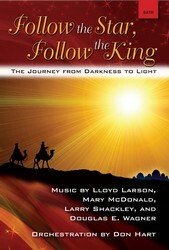 This is a beautiful and peaceful hymn, but there is just a touch of melancholy in the tune. Even in the arrangement the composer was able to convey the tension amidst our celebration, the sorrow that must lie within our rejoicing, if only for a moment. We know what is coming that week before Easter morning, and this should give us reason to pause. But we also know that the tiny babe whose birth we celebrate, “This flower, so small and tender, with fragrance fills the air; his brightness ends the darkness that kept the earth in fear.” Thus, even amid the tension of life out of death, we celebrate the ultimate life we are promised in Christ.